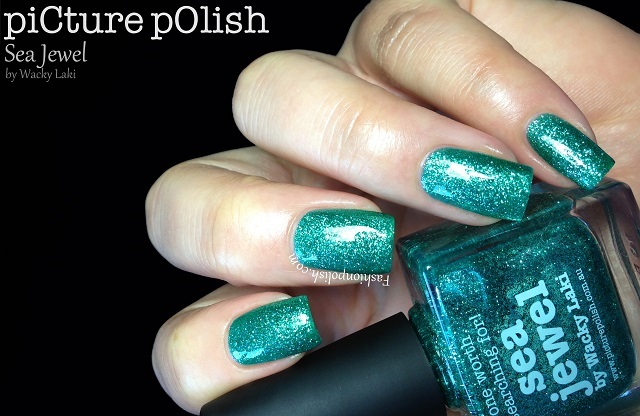 Fashion Polish: piCture pOlish new collaboration shades : Sea Jewel, Whimsy & Frosting! piCture pOlish new collaboration shades : Sea Jewel, Whimsy & Frosting! 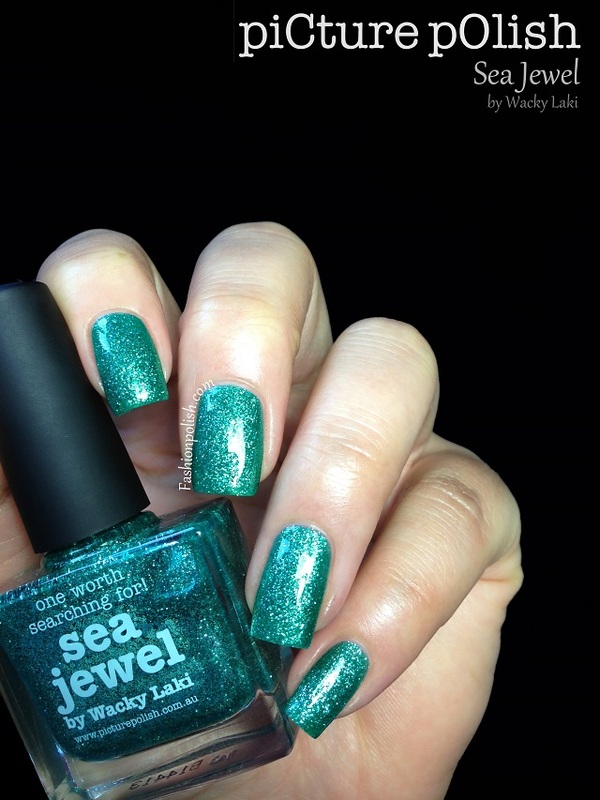 Sea Jewel is a green and silver glitter bomb in the vein of the piCture pOlish Mesh shades. Literally packed with fine glitters in a sheer green jelly base, it's highly intense and reflective. I used 2 coats in the swatches below plus one single coat of topcoat for complete coverage and smooth finish. Whimsy is a soft aqua blue creme lit by strong gold glass flecked shimmers. I love the glass flecks are mixed in a creme base instead of your average jelly, the final look is much more wearable and interesting IMO. Formula was a little thick but in a good way and although it required 3 thin coats for full opacity, application was super easy. Frosting is a pale dusty pick creme with a mix of silver, fuchsia and purple hex glitter as well as a good amount of holographic hearts. It was so packed with glitters that application proved to be harder than normal so I'd recommend to work slowly and avoid hearts on the first coat (no fishing necessary!). This is 2 coats plus 2 coats of topcoat. piCture pOlish Sea Jewel, Whimsy & Frosting retail for AUD$12 each and can be purchased directly from piCture pOlish.com.au or through their international network.